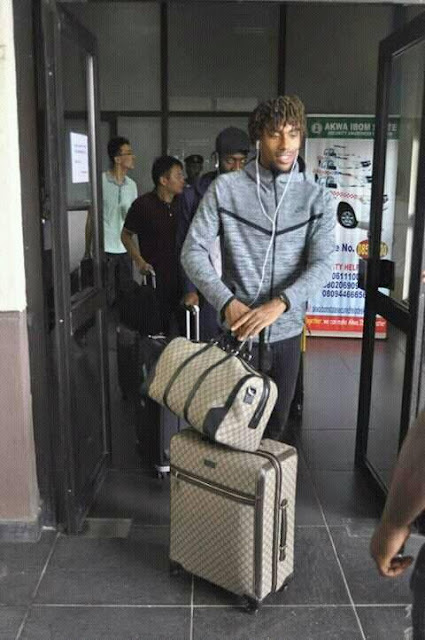 Alex Iwobi, Ahmed Musa, other players come Uyo after Nffs complaint. Alex Iwobi, Ahmed Musa and Leon Balogun have led a new series of eight calls to training camps against Libya on Saturday before the African Nations Cup qualifier. Other players who landed are Jamilu Collins, Chidozie Awaziem, Ola Aina, Ikechukwu Ezenwa and Shehu Abdullahi. William Ekong, Daniel Akpeyi and Isaac Success were the first players to come to the camp yesterday. It was previously reported that members of the Nigeria Football Federation (NFF) were concerned that Super Eagles players had decided to stay out of the team's camp, which opened in Uyo on Sunday. An NFF official told The Guardian that players had agreed to come to the camp yesterday, "but some of them have given some reasons for not reporting. "The officials who pleaded for anonymity said," Kelechi Iheanacho said he had missed his flight from London to Lagos, while some others said they could not get connecting flights from Lagos to Uyo. The team camps at Ibom Hotel & Golf Resort, Uyo.